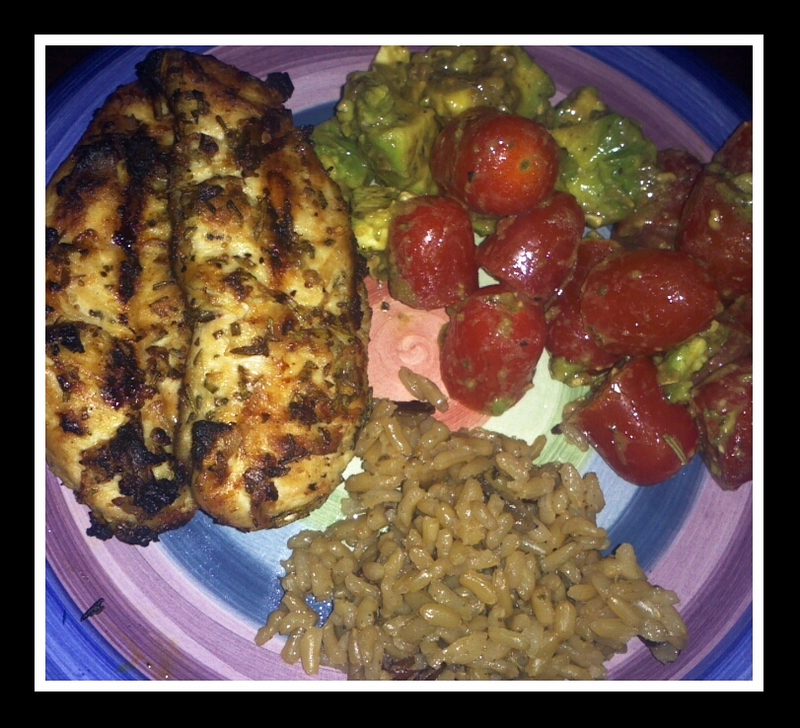 Really great dinner tonight. 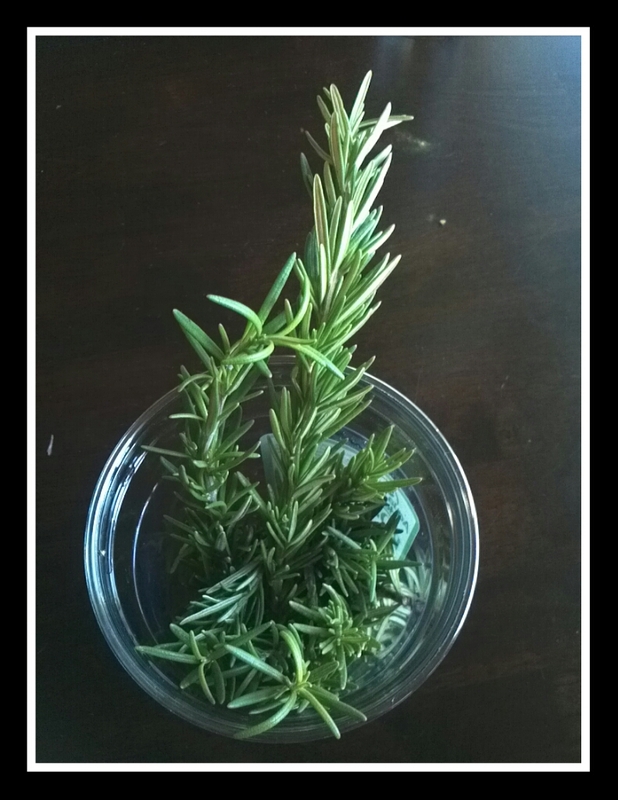 Rosemary never fails!! I love this herb. It has such a great aroma and can hold its own in a recipe. 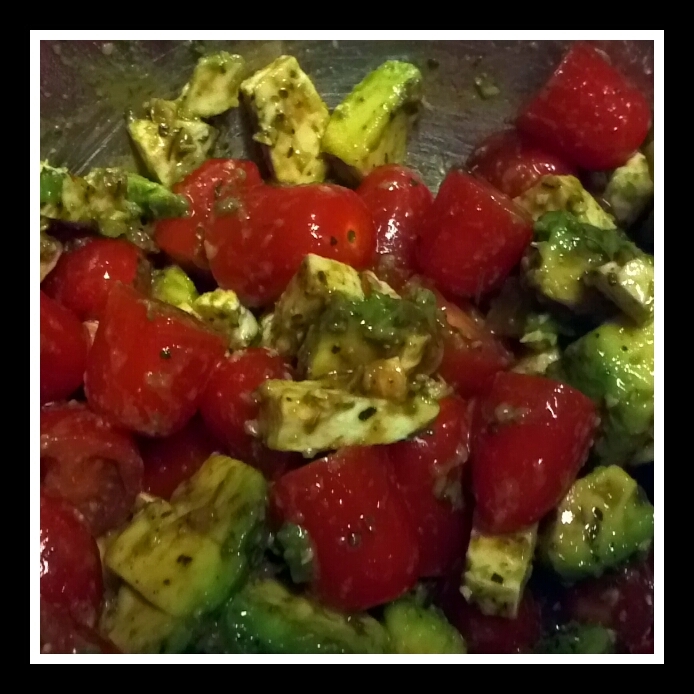 Tonight’s dinner was Rosemary Grilled Chicken with Avocado & Tomato Salad. 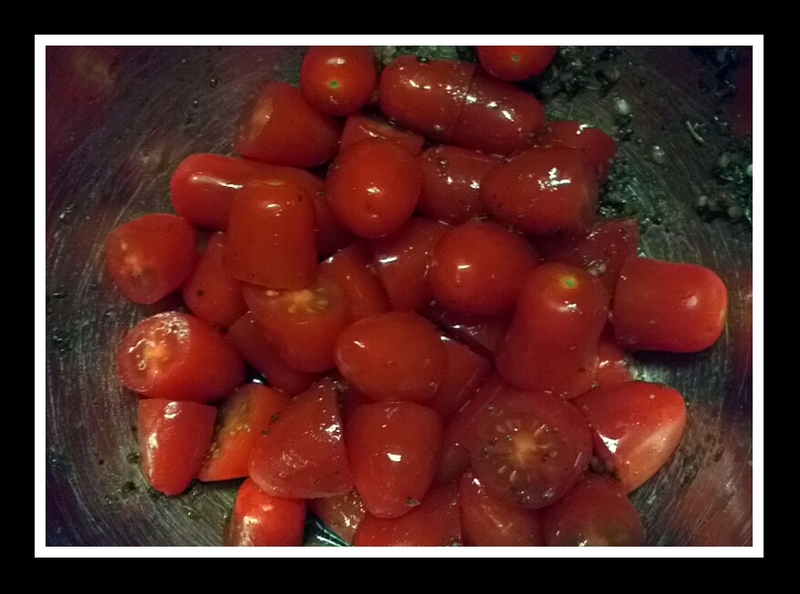 This salad is to die for. Sooooo good, not kidding. I love, love, loved it! Combine first 4 ingredients in a large heavy-duty zip-top plastic bag. Place chicken in bag and seal. 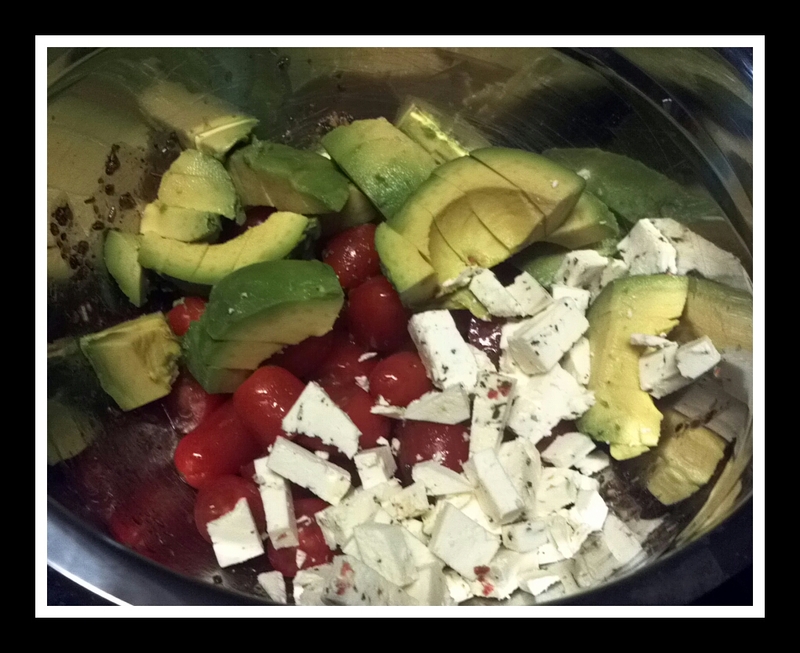 Mix around and marinate for about 30 minutes. Prepare grill. 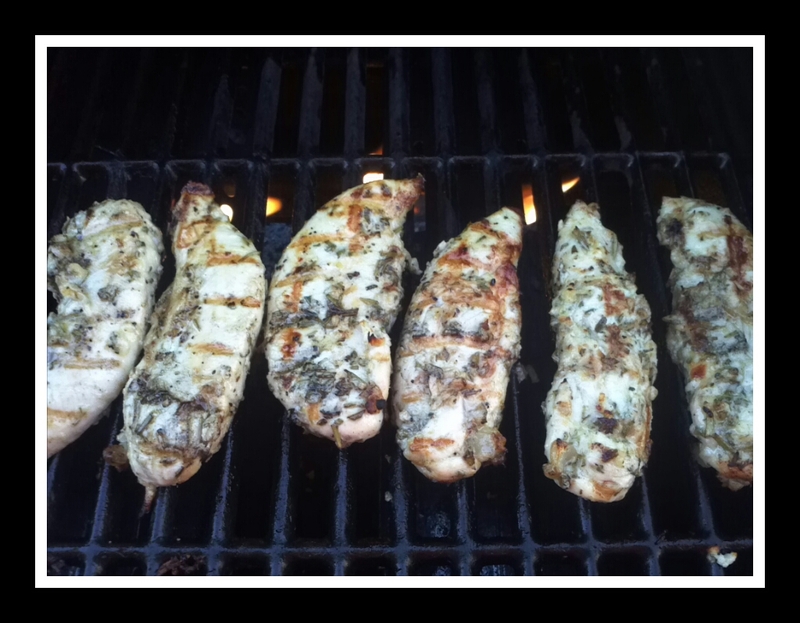 Spray grill rack with cooking spray. 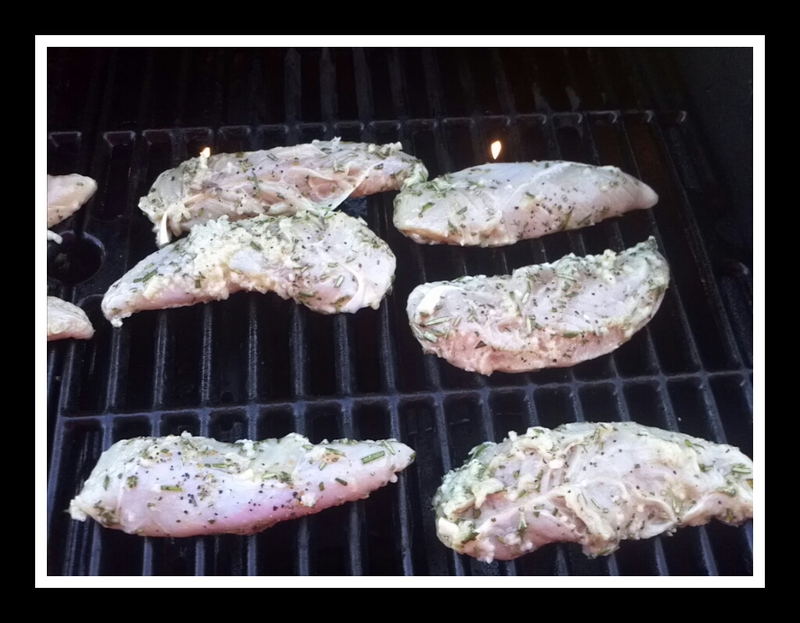 Remove chicken from marinade, place chicken on rack and discard marinade. Grill ~3 minutes on each side or until done. Combine first 4 ingredients in a bowl, stirring with a whisk. 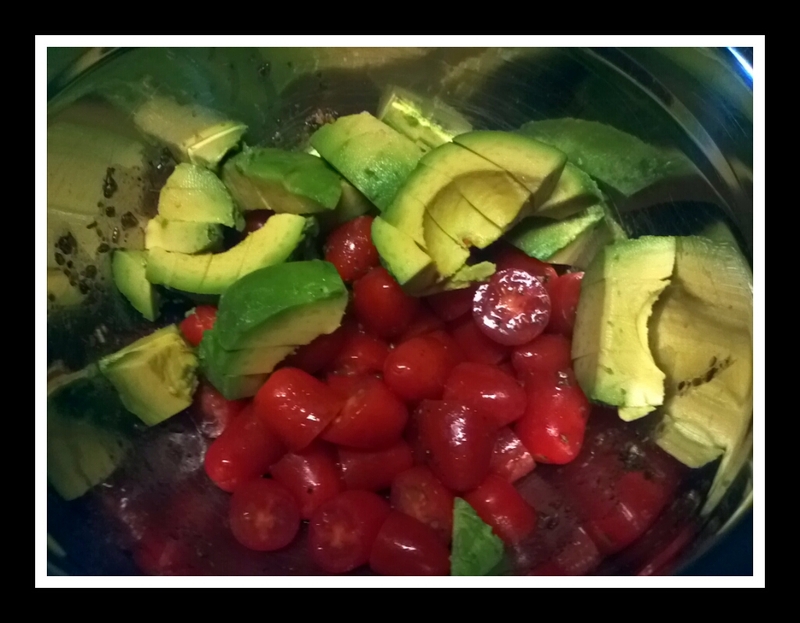 Add tomatoes, avocados, and cheese. Toss to coat. On a side note, always something ridiculous happens during my day. Today it was a quick, stealth ant attack on the pantry. I hate it when this happens!!! 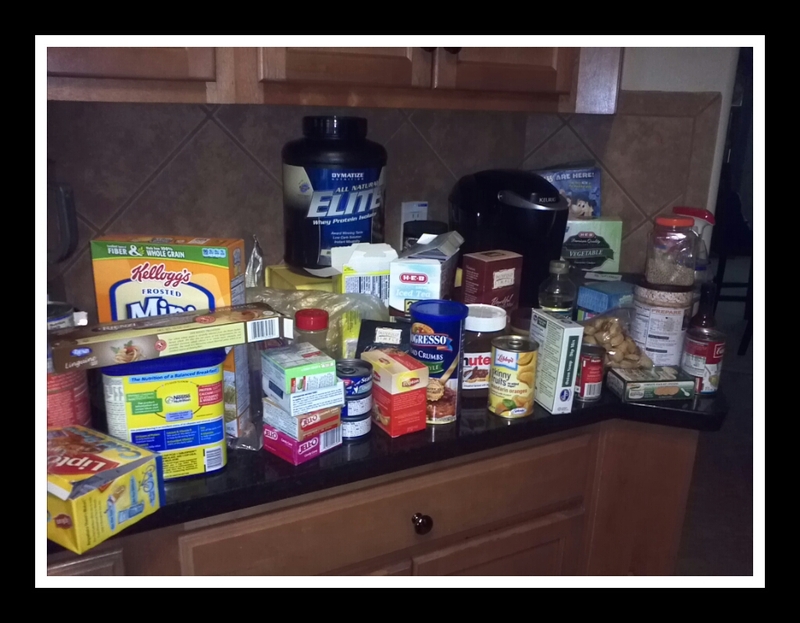 Todd and I had to totally unload the pantry during the middle of preparing dinner. The only explanation for the ants is “summer time” I guess… On a positive note, I bet I have the cleanest and most organized pantry in the neighborhood now.